In the six years since Mayor Michael Bloomberg won control of the city's public schools, installed Joel Klein as chancellor and instituted sweeping changes, teachers, parents and other New Yorkers have differed sharply over the city's education policies and their effects on more than one million students. A key issue has been how to measure school achievement. The administration has touted rising test scores as signs of success; critics have questioned whether the scores really have increased significantly and have also raised concerns about the validity of the tests. The administration and its critics have differed over how much the high school graduation rate has improved and over the performance of the new small schools the Department of Education has launched to replace large high schools with high failure rates. Debate over evaluating schools intensified last fall when the education department issued report cards for almost every school in the city, awarding them a grade of A through F. Bloomberg and Klein hailed the grades as a way to hold principals and teachers accountable while proving valuable information to parents. Many educators assailed the grading system as grievously, if not fatally, flawed. In the coming months, New Yorkers and their representatives in Albany will have to give their own grade to New York City schools. The state law establishing the current system of mayoral control expires in 2009. As politicians, parents, educators and other concerned citizens wrestle with whether to end, continue or somehow modify mayoral control, they will certainly examine how the schools have performed under the six-year-old governance system. On April 23, Citizens Union Foundation, the publisher of Gotham Gazette, sponsored a panel discussion on "Grading NYC Public Schools." Expert panelists discussed whether various measures such as test scores and report cards help New York City students learn. The following are edited excerpts from that discussion. We need to judge everything we do with a profound understanding of the depth of the crisis we face as a nation. It is morally unacceptable to have the promise of equality of opportunity in this country be essentially a broken promise. If you are born poor in urban America today, you face an unacceptably low likelihood that you will succeed at the minimal level that will enable you to grab hold of the bottom rung of the American dream. So I think we should be judged by how much our children are learning and whether all children, regardless of the circumstances of their birth, are learning. Mayor Bloomberg and Chancellor Klein have been around since 2002, and we think there is a lot to be proud of. But if the progress we have achieved stopped now, we should all be very, very, very disappointed. It is unacceptable to have a high school graduation rate at 60 percent, even if that's 10 percent better than it was before. The four-year graduation rate in New York City has gone from 51 percent when we got here and 53 percent in 2003, to 60 percent in the last year. In 2004, that state decided to try to make the metric for graduation rates uniform. By that measure, our progress has been exactly the same, but from a different starting point -- from 44 percent to 50 percent. Interestingly, throughout the state during that same period, the graduation rate dropped 2 percent, and in the so-called Big Four cities in the state it dropped 4 percent as well. From 2003 to the present, there are a lot of successes and some disappointments. Scores on the fourth grade standardized math test are up by 7.4 percentage points, while the rest of the state is down. Fourth grade English Language Arts scores are up by 8 percent if you make the following, and I think responsible and appropriate, differentiation: The number of children who do not speak the language who were tested -- because of a change in state rules -- went from 6 percent to 50 percent of the test-takers in these two years. If you factor those children out, which is not to say that we don't have full responsibility for those children, the numbers are up 8 percent versus the rest of the state. Eighth grade math has been a terrific success, with 2003 up 11.3 percent. Eighth grade English, is a disappointment, we're a little behind the rest of the state. On the federal National Assessment of Educations Progress, which is a very different test, we have had a number of great successes and a disappointment or two. We're up substantially in fourth grade math --much higher than the national trend -- and up substantially in English language arts. All of this is about quality teaching. I believe we have the finest teaching force this city has ever had. One hundred percent of our teachers are certified. A 43 percent salary increase has been essential to attracting and keeping good people. We encourage the view that more is better when it come to teachers. So last year, with the actual enrollment declining across the system, we had a net increase of almost 1,900 classroom teachers. That is a huge dollar commitment, and I can't think of a better place to spend money. I don't want to tell you that every parent in the city is satisfied -- a long way from it -- nor should they be. But the numbers based on surveys are considerably higher than the media may suggest. We are seeing tremendous levels of satisfaction with teacher quality -- 90 percent is a pretty good grade, any way you slice it. And overall, we are seeing general satisfaction with the direction of the system. We need to unleash the potential of our great educators, whether teachers or principals, by giving them the money, the authority and the funds to do great things for kids. But if you do that in a way that does not make it clear that they are responsible for student learning, you will have anarchy and bad things happening for the kids. So we believe in a deep partnership that holds schools accountable for the results and gives them the autonomy to find the best path to get those results. What do we mean by accountability? We mean that schools, teachers, principles -- everybody -- should be held accountable for making sure that students learn to achieve what the state standards expects them to know. When you go to schools that got a bad grade on our report card, you hear over and over again, "This is unfair," "This is a good school," etc., etc. Then you sit down, and you meet with them, and you show them it happened because their African-American students weren't progressing at nearly the rate of comparable students in other schools across the state, or wherever the reason was. Then they say, "As much as I disagree with everything you're saying, this is never going to happen again." There is a level of focus that comes from being held accountable in a very metric and concrete way. This accountability requires making use of objective measures of how much children are learning. Those are called standardized tests. There is no question that a system built on training kids to take tests is counter-productive. There is no question that there are abuses associated with this focus, and I have no doubt that some of them are present in our system. But in a bygone era without tests, it was impossible to gauge the effectiveness of a school or a school system. The lack of any common standard led to gross educational inequities and low expectations. Teaching what children should know and then assessing what children have learned, is educationally sound. That's what we do. Chris Cerf is deputy chancellor of the New York City Department of Education. There have been real improvements in New York City public schools. As I travel the country, I'm often asked which districts are improving, and I often cite New York as one that is making progress. I say that not because I believe the data because there is a problem with data in New York City. The Department of Education controls all the data. There is no independent data or analysis of what's going on. But I am in schools a lot, and I will tell you there are fewer schools that are disorganized and chaotic today than there were five years ago. The Department of Education is to be praised for its efforts to create new schools, particularly in areas where they have not had good schools. I also think that many aspects of this new reform are commendable, like possibly getting new funding to kids with needs. That's a very progressive innovation, and it shows that the chancellor and the department have a commitment to trying to address education/civil rights issues. However, there are two examples of policy made by the Department of Education that are not effective and make little sense. One of them is this eighth grade-retention policy that we just adopted [that would not allow students to go on to high school unless they pass key subjects and score at a basic level on standardized tests]. I was asked to chair a task force on middle schools. We identified over 50 middle schools in the city where kids were not learning. The mayor came to a big public event and promised that we were going to do something about this. Instead, they came up with the eighth grade retention policy before they even addressed any of the reforms. Research shows that when you retain children in school, you significantly increase the likelihood that they will drop out. No one wants to see kids entering high school not prepared. But why isn't the Department of Education intervening more aggressively earlier? Signs that kids are not performing show up in elementary school; why are we waiting until eighth grade? The second one is this crazy idea is that idea they have of paying kids in certain schools, who get good test scores. This is based on a number of false assumptions: Largely that kids are lazy and if you just give them a little money, they'll go to school and work hard. This is instead of addressing the conditions within those schools. There are other disputes over big issues that are not being addressed by the Department of Education. The first, and probably the biggest problem is the concentration of inexperienced teachers, inexperienced principals with high-needs kids. New York calls that the "Teaching Fellows Program." There is no evidence anywhere that that will ever work. The kids with high needs need more experienced teachers, who are better trained. And the Department of Education has not come up with a strategy to address that. Now, the dropout rate. When you look at African-American/Latino males, less than 40 percent graduate. Some of these schools are really dropout factories. In this city, we're losing so many kids, and I don't see that being addressed. The segregation of kids, in this city, has increased. The number of African-American and Latino kids who constantly attend the lowest performances schools is a huge issue not being addressed by the city. I support mayoral control because I know that school boards are often very narrow and contribute to some of the chaos in school systems. But mayoral control should not mean that the mayor does whatever he wants, with no accountability to the public. Whether it be cell phones or the budget, the mayor should have to be accountable to the public for the decisions being made. They want to make principals accountable, teachers accountable, kids accountable. My question back to them is, "What are you accountable for?" We need a better system -- one that is more transparent, that has independent research to monitor what's going on in schools, and we need the strategy to address chronically under-performing schools in the city. Pedro Noguera is a professor at NYU's School of Education and served as co-chair of the City Council's Task Force on Middle Schools. I am a historian of education, and my first published book was a history of New York City public schools." Most people don't seem to realize that we had mayoral control of the schools from 1873 to 1969. Mayoral control is not new; the only thing that's different is that then we also had the Board of Education, which appointed the superintendent or the chancellor, so there were checks and balances. Today we have no checks and balances. This is a good time for an assessment of results. Spending since this version of mayoral control began has risen from $12.5 billion a year to $20 billion a year. The mayor announced his program in January 2003. The children took their tests in January 2003, so Bloomberg's program begins in September 2003. From 2003 to 2007, the aggregate gains on the state tests were smaller than during the previous four years. Under chancellors Rudy Crew and Harold Levy gains were 17 points in fourth grade math, compared to 7.4 points under Bloomberg and Klein's Children First program. Fourth grade reading under Crew and Levy gained 20 points, from 1999 to 2003, compared to 3.5 points from 2003-2007. So the gains have not been extraordinary. 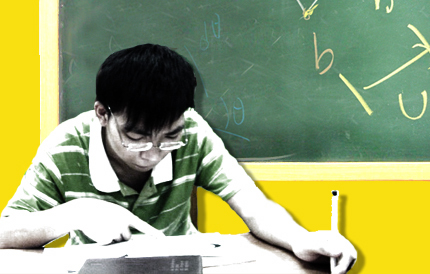 On the national tests, the gains are simply not there. On fourth grade math, the city did see significant gains, but there were no gains on fourth grade reading, eighth grade reading or eighth grade math. Is the mayor accountable as we often hear? No he's not accountable. He stands for re-election once, he's already been re-elected, he's term limited, so we can't hold him accountable. He did say we could boo him at parades. Is the chancellor accountable? No -- he only reports to the mayor, and the mayor's not accountable, so we can't hold either one of them accountable. When things are wrong in the schools, no one is ever quiet, but no one is ever accountable. Last fall when the national test results came out, they showed no gains in reading in fourth grade and no gains in eighth grade math, and no one was held accountable. There were no changes made in the reading or math programs that were mandated citywide. Instead the chancellor put out press releases saying that the scores showed great progress, even though they didn't. No one was held accountable for the flat scores in reading over the past four years. The Department of Education, in fact, does not have an educational strategy. It began with one -- it mandated a citywide math and reading program -- but it has given up on that, and instead there's only "accountability." The education department gives bonuses to principals to raise test scores and bonuses to some teachers to raise test scores and bonuses to students to raise their test scores. There are schools surveys where parents rate schools and teachers rate schools. There are quality reviews where schools are graded mostly by a group of British educators, and now there are the progress reports that give a letter grade to schools. The schools are drowning in a sea of incoherent accountability. If schools fail to meet their requirements under the federal No Child Left Behind legislation, they are called "schools in need of improvement." If schools consistently perform poorly, the state calls them "schools under registration review." Add onto those accountability measures the city's new grading program, A through F.
Last November, the city released its grades, and two thirds of all the schools got an A or a B. Last December, a month after the city, the state released its list of failing schools. Of the 61 middle schools that were added to the list of failing schools by the state, 30 had received an A or a B from the city just a month earlier. More than half of the schools that got an F from the city's new grading system were in good standing with the state and federal government. One of the schools that got an "F" from the city was listed by U.S. News and World Report as one of the best high schools in the nation. In another "F" school, PS 35 in Staten Island, 90 percent of the students either regularly meet or exceed state standards and yet this good school is stigmatized with an "F." Some of the schools that the city is closing because they got an "F" grade are in good standing with the state and federal governments. The city's grading system is inherently unreliable because 55 of the grade is based on one-year changes in student test scores. Testing experts say that one-year fluctuations in test scores are not reliable and that anywhere from 35 percent to 80 percent of the fluctuation is random. As one of the testing experts said, "Maybe there was a dog barking in the playground distracting the students." Unfortunately this is the same metric that will be used to award bonuses to principals and teachers. How can a parent make sense of this? How can this help the kids to have all these different accountability systems? What is the point of an accountability system that gives an "F" to a great school and an "A" to a school that the state says is a failing school. New York City copied Florida Gov. Jeb Bush's grading system in Florida. But what matters most is what happens after the grades are handed out. In Florida, if a school gets a "D" or an "F," the state has a carefully calibrated program to help the school get better. Low-performing schools get extra resources, they get reading coaches trained in scientifically based reading research, and a team of experts is sent in to help them. Because of the follow-through, accountability in Florida apparently is working. In New York City, the Department of Education seems to have no plans to support public schools other than to humiliate them and close them down. Accountability works when it is part of a plan to improve education, but when there's no educational vision and no educational knowledge, the schools gain no benefit. Diane Ravitch is research professor of education at NYU and a former U.S. assistant secretary of education. Accountability -- it's a great buzzword. The question becomes are we talking about everybody having their feet held to the fire with a focus on student achievement or are we talking about a shift of responsibility? We came up with an accountability system that we thought would be premised on 360-degree accountability. Instead of focusing exclusively on test scores, we wanted to focus on how you sustain and create good schools. How do you build capacity instead of building fear? How do you engage all the parties in a roadmap to use accountability as a blueprint, a roadmap, to make a school better? This is how we do it. The system is based on four pillars. One is academic achievement; two is safety, order and discipline; three is teamwork for student achievement; and four is Department of Education's accountability to the school. All standardized tests would continue, but under this system, these tests will be placed in a broader context that would include the missions of the school's curriculum, the overall environment within the school building and the adequacy of the funding the school receives from the Department of Education. The new accountability system balances test scores with a multitude of other factors that constitute a successful school. What we are saying is that the content of what we do matters a lot more than this relentless focus on test prep, test prep, test prep. Number two, teachers, and you'll see this in this, want accountability done with them, not to them. So what we tried to do as a result is figure out what are the core elements other than academic achievement. We looked at safety in a broader way, so that if lids are falling through the cracks, we can find them and get them before they fall through the cracks. We should have metal detectors in the schools. But safety has to be also building a culture. That's why safety and civility is very important and teamwork as well. I have seen in the last 22 years, including in running two charter schools ourselves, that resources matter a lot. The most important resource, though, is a good principal and good teachers working together. There are thousands of decisions they have to make every day. And if you do not have a culture in a school of them working together and engaging parents, a school is not going to work. That is why the third pillar was teamwork. That is also why we took the risk of doing school-wide bonuses. Even though we are not terribly happy about 85 percent of them being based upon test scores, we thought it was really important to try to promote collaboration. Our last pillar is the Department of Ed's responsibility. Have they given enough money so you actually could lower the class sizes to the average that's now called for in the state, from 20 is K through 3, or 23 in grades 4 through 12 at 23? Is there enough wherewithal that a school principal could provide the professional development that is needed for instructional growth of the teachers and therefore instructional growth of the kids? Then let's be transparent. Bottom line is this: We can keep on doing what has gotten done in the last seven years, both in terms of what has been done here and No Child Left Behind across the country, which is everybody's back is just fighting with each other. Has it really helped our kids learn? There's no question that we in the United States of America want universal achievement and universal attainment and universal access. There's no question that everybody in this field wants to help our kids succeed. All this relentless focus on testing hasn't worked in the last seven years. If it did, scores would be much higher now. We have to come up with a different approach, to keep everyone's feet to the fire and build the capacity instead of fear . I am a human rights attorney, and I believe that education is a human right. So I did a little testing. This is not a scientific survey. My two children went to public schools for at least part of their educational careers. My granddaughter is currently in public school. I am a parent advocate. So, I simply called the Department of Education and asked, "What should I do about my student's school? The school is failing according to the DOE. I want to move my child out of the school." After five phone calls, I finally got someone who told me that she was in charge of student placement. Her first question was, "Is your student a new student?" I said, "No, but I want to move her out. There's a choice program, right?" She said, "The choice program is limited. You have to fit one of these three criteria: safety and for that you need a police report; health, obviously a doctor's note; or distance, you are 45 minutes away from school." I said, "I'm not going to lie, we don't fit into those criteria. I want my daughter to succeed." She said, "Well, if the school is failing, then you can go and ask permission to go to another school but that's completely in the realm of her principal and if they don't accept you there's nothing else we can do." I tested this out by calling the district office. After three phone calls, I was told, you should apply to one of the new schools they're opening up -- at least if there's space. It might be untested, but since your child is in a failing school according to the DOE, what do you have to lose? You might also have to pay for private transportation, but still, at least your child will be educated." I use that example to illustrate that what is really wrong with the system: There is no connection between the family and school that makes any real difference in the child's ability to learn. That doesn't mean there are not PTAs, that doesn't mean that some schools do not have School Leadership Teams. That means that if a parent wants to be actively involved and sees that there needs to be a correction, there is no way for that parent to truly intervene in the school. And why does a parent need to be involved in the school? Because in my opinion, schools should exemplify to all students the core principles that guide this country and that is they should be much more democratic in nature. There should be community involvement, teacher involvement, there shouldn't be a principal/dictator, there should be a team. The parents should have something to say about who the chief executive officer is that runs their children's schools and who is at the head of the school system. Because what's really at stake for the chancellor? What's really at stake for the mayor? Their families are not at stake, their child is not at stake. We are in crisis in this city, a major crisis. The majority of the students, as you all know, are black and Latino. If the black and Latino students aren't learning, the system isn't working, we cannot blame poverty. We need a new system that is not just accountable in terms of punishment; it needs to be accountable in terms of the principles that guide the country. Let's get back to what I consider to be community in the schools, and schools within the community.